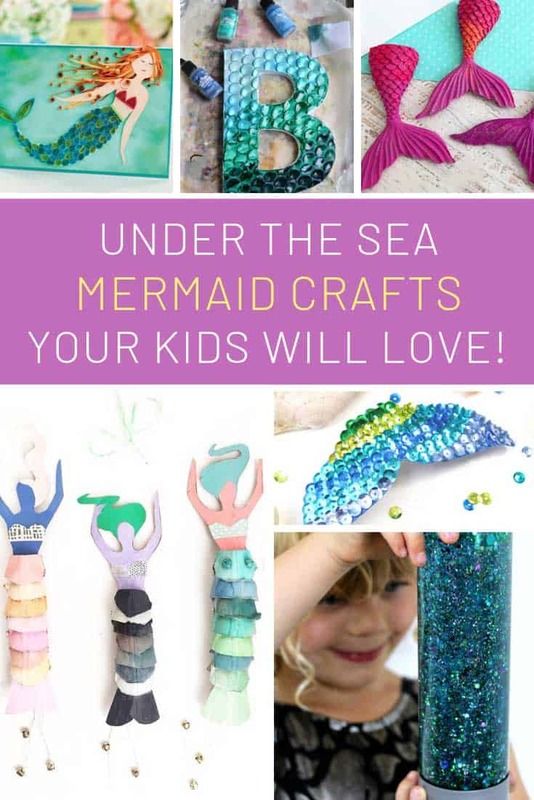 If you’re looking for a fun project to do this weekend you can’t go wrong with these mermaid crafts for kids! 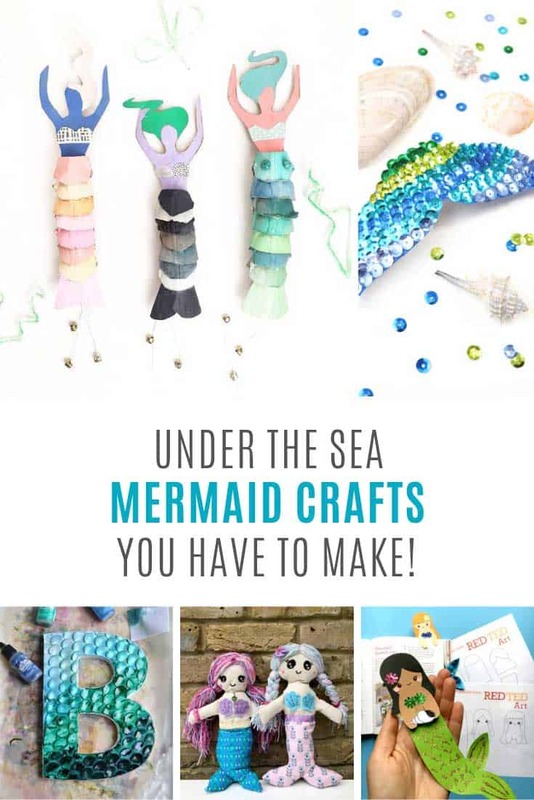 A while ago I collected up some DIY mermaid crafts and since then I’ve had reader requests specifically for mermaid crafts for kids, so that’s exactly what I have for you today! There are crafts here for kids of all ages from preschoolers through teens, and they are all “keeper” projects. Whether your child hangs them on the wall, uses them at school, or gives them as gifts, these are all projects for them to be proud of making! 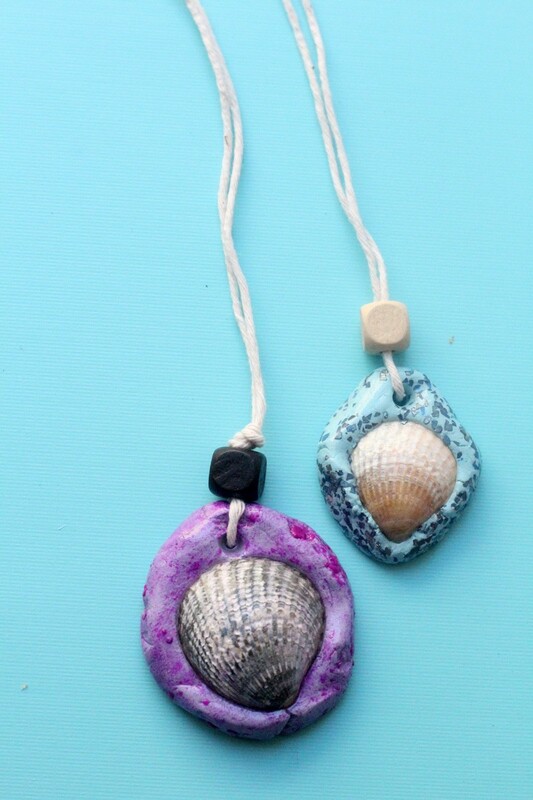 These mermaid necklaces are super sparkly and the perfect seashell craft to use up treasures found on the beach! Wow! These letters look just like mermaid tail scales! I’m sure your daughter will love to make a monogram initial to display in her room. Every little mermaid needs a seashell purse right? 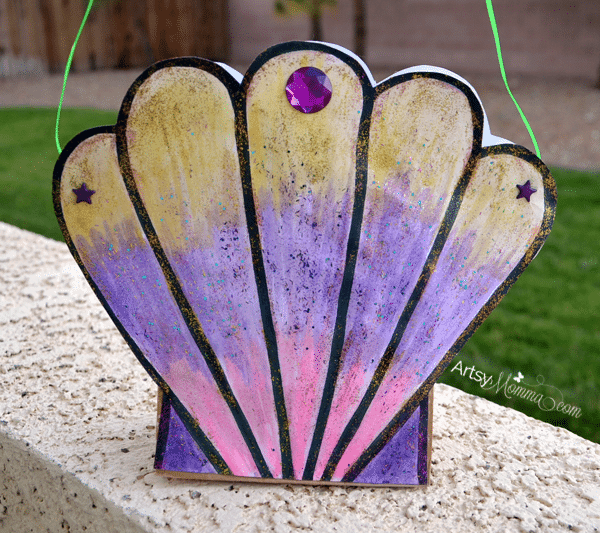 This craft project is perfect for younger girls who will have fun decorating their shell and then carrying their treasures around in their new purse! 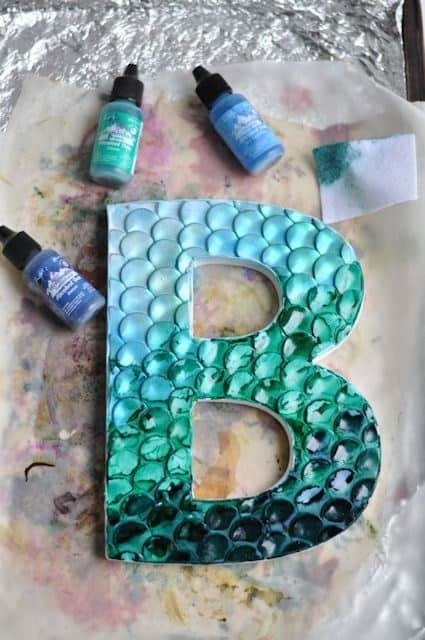 If you want to try a mixed media project then watch this video tutorial which shows you how to make a fabulous mermaid with a sparkly sequin tail! And here’s another wall art project! 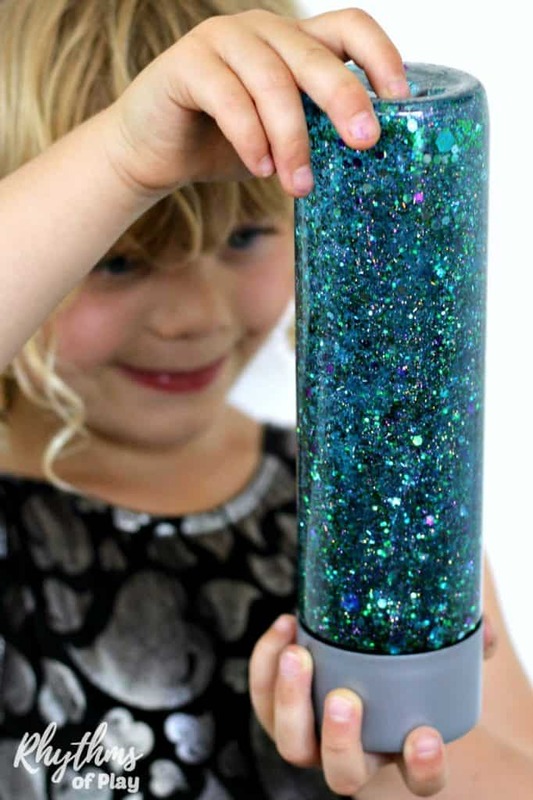 This one would work for younger girls as well as teens because there’s some fine motor practice involved in sticking down all of those scales! If you don’t want to make a piece of wall art how about using scales to decoration a journal for school instead? 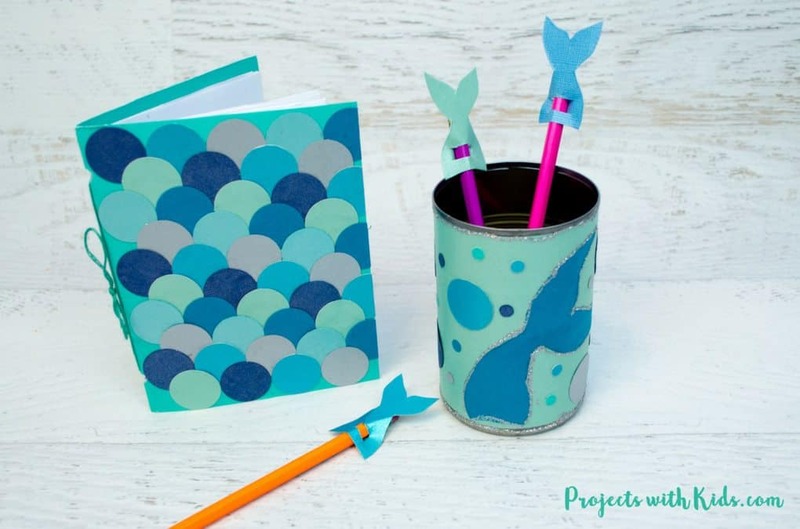 Speaking of school supplies, there are a lot of cute mermaid projects in this video. 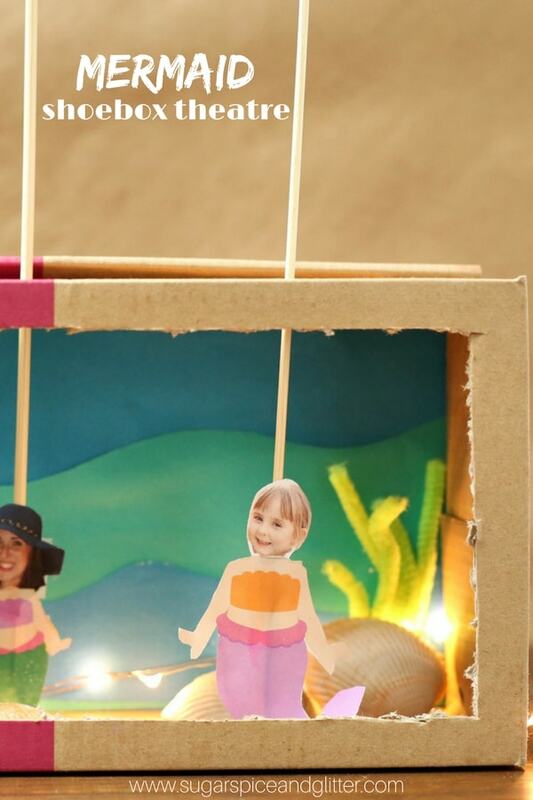 Oh there is hours of fun to be had with this mermaid shoebox theatre! The templates for the mermaid dolls are included, I love how they then glued on their own head photos! My son has a thing for tearing the paper off wax crayons and snapping them in two, and now I have the perfect solution to my box full of broken crayons! 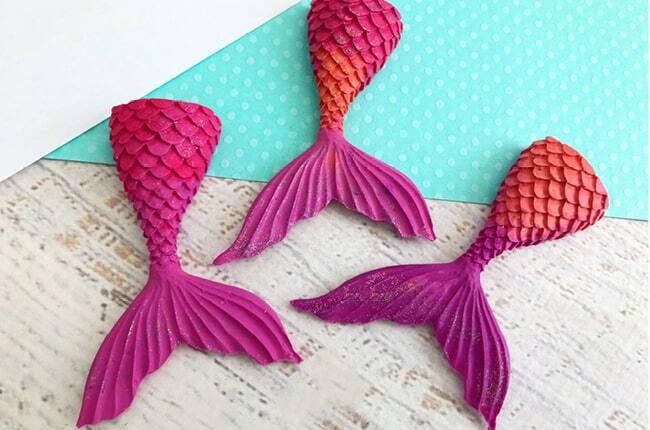 These mermaid tail crayons are fabulous and would make great party favors or back to school gifts for school friends! 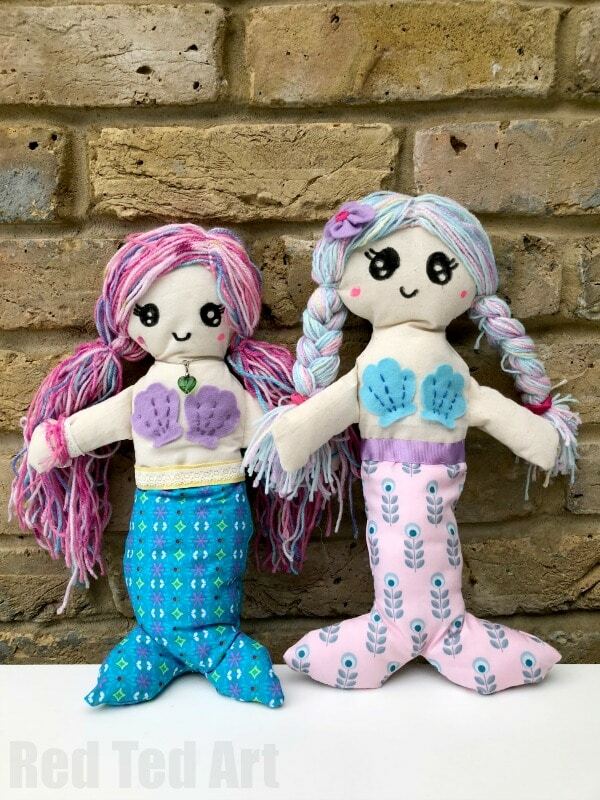 I always mean to do more sewing crafts with my daughter as she finds it quite relaxing, and this mermaid rag doll is the perfect project! Ooh these are so pretty! 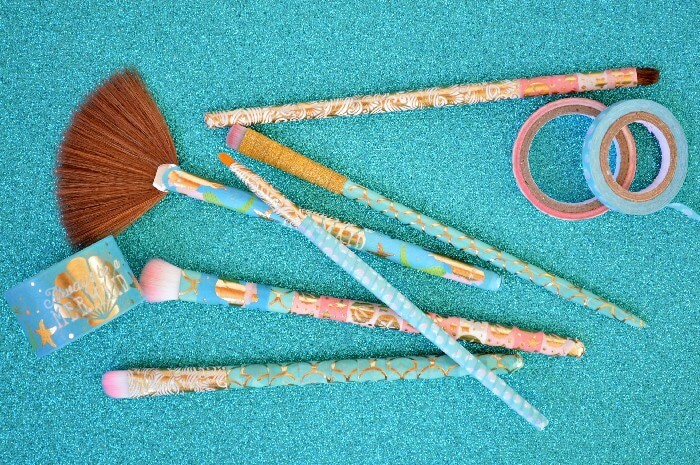 And don’t scroll past if your daughter isn’t old enough for makeup just yet because this project could also be used to make the most fabulously sparkly mermaid pencils for school! Wow! 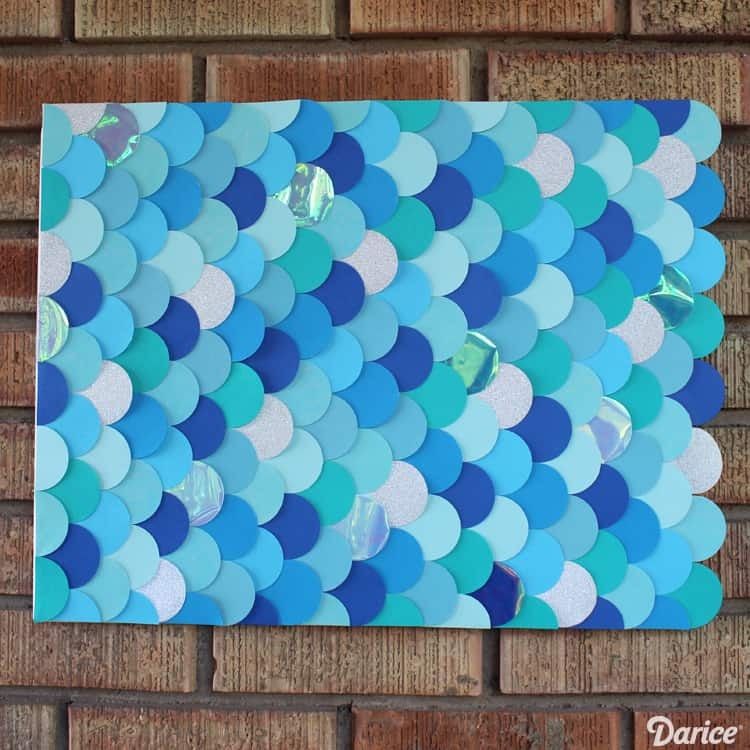 How fabulous would these mermaids look glued to a piece of canvas as wall art? Time to raid the recycling box! 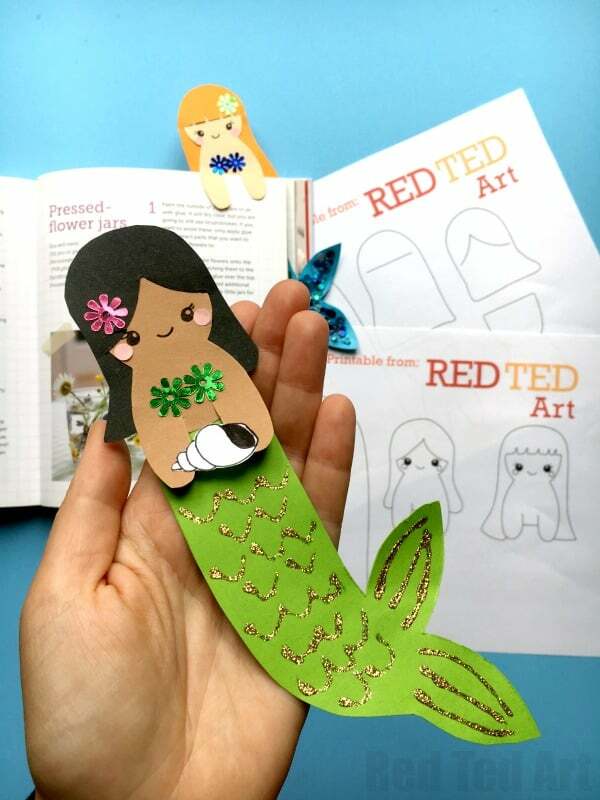 If you have an avid reader she is going to love making and then using this sweet mermaid bookmark! This would be a great craft to make with friends, or as gifts for friends! My daughter is trying to grow out her hair and it’s driving me crazy that it’s always in her eyes. 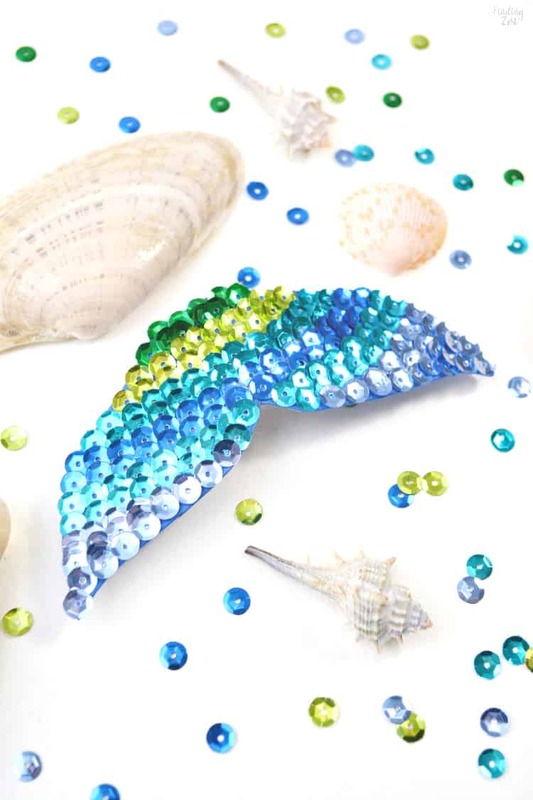 This gorgeous mermaid hair clip is the answer I think! 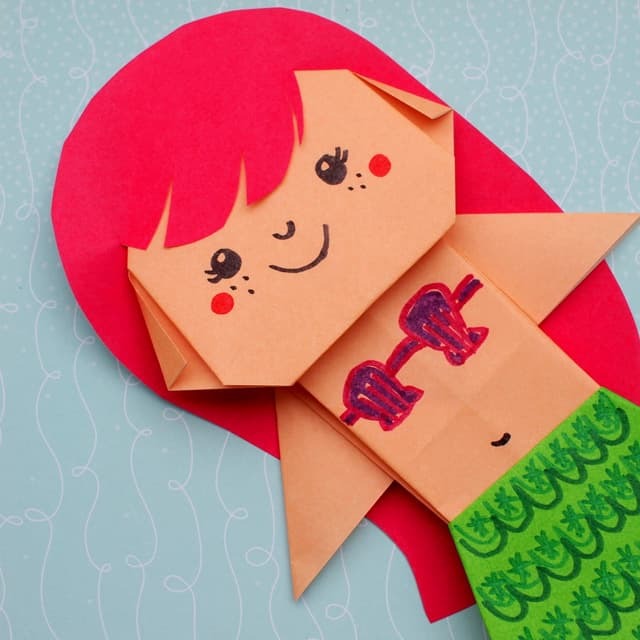 If you’ve never tried paper folding before this origami mermaid might just be the start of a new hobby for your child! 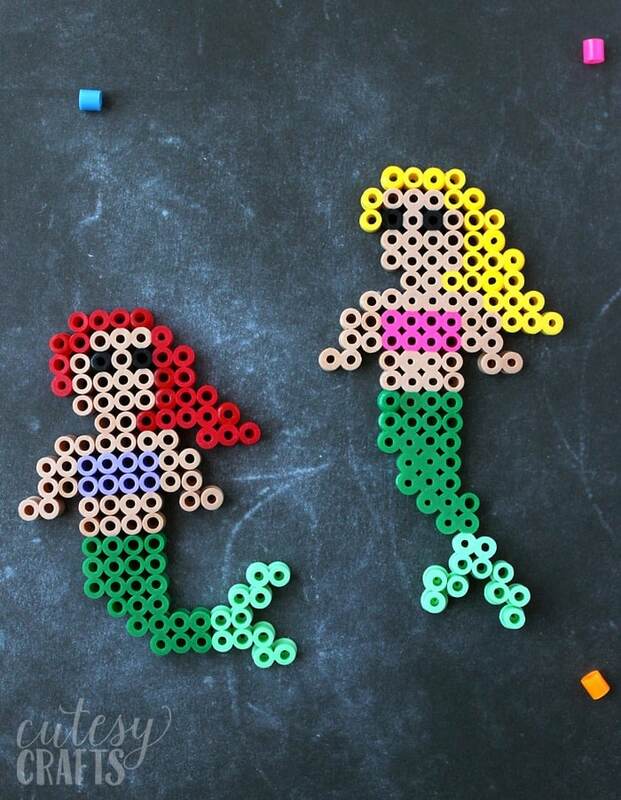 We LOVE perler beads and are always looking for new patterns so we’ll be adding these sweet mermaids to our list! 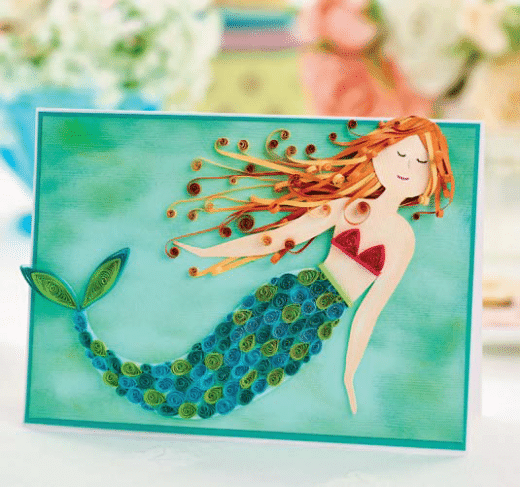 Older children will enjoy making this quilled mermaid, it’s quite relaxing quilling paper. You could hand the finished project up on the wall, or use her as a greeting card! 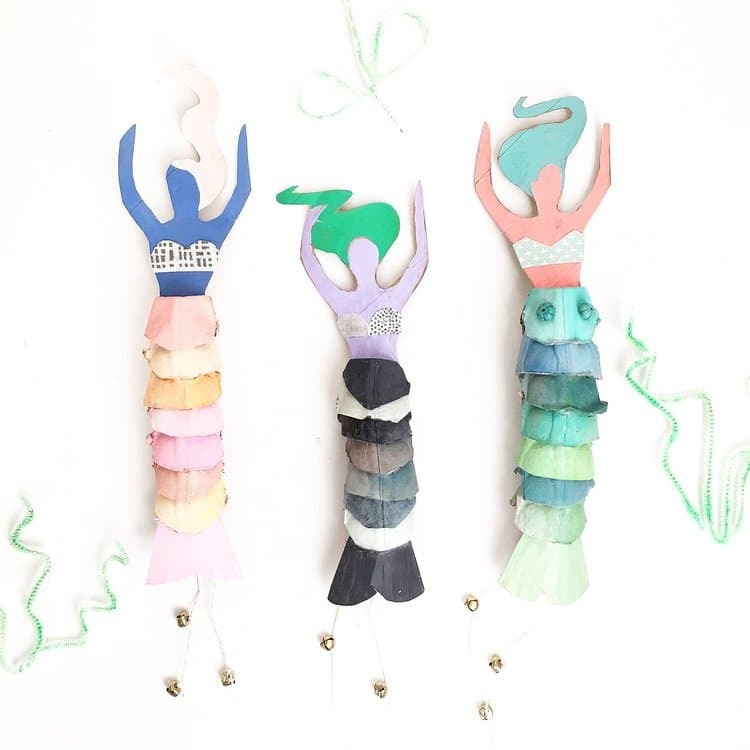 Well we started this collection of mermaid crafts for kids with a necklace and it looks like we’re going to finish up with another one! 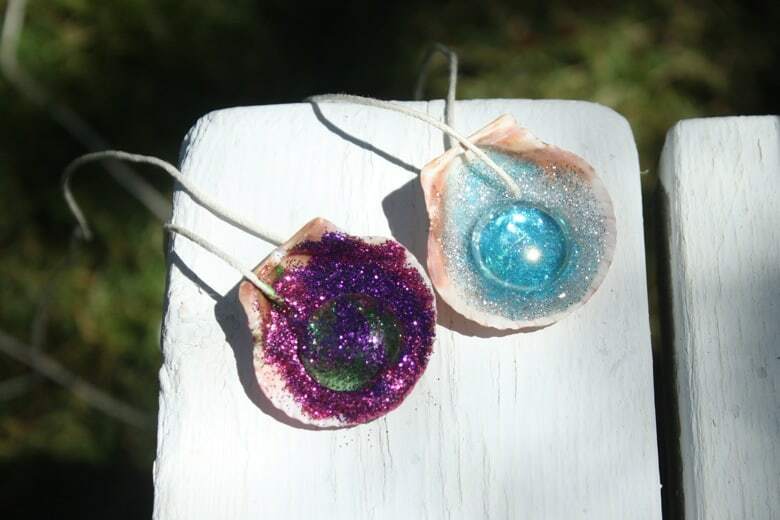 These would make fabulous gifts, or just be a great craft for a mermaid themed sleepover! Next PostNext 9 Adorable Octopus Crochet Patterns Your Kids Will Love!